Succulent pork is no longer a thing of the past: Niman Ranch pork makes a great burger that's full of flavor. 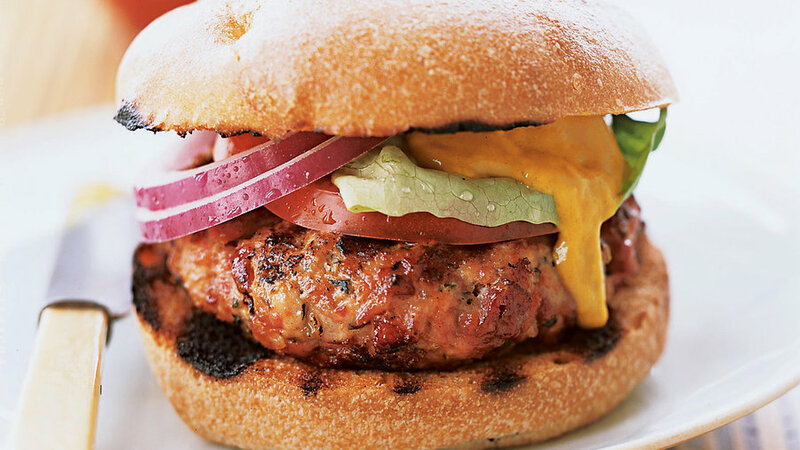 Beef, turkey, even lamb … why not pork for burgers? Maybe because in recent years pork often hasn’t tasted very good. Our collective fat phobia has driven producers to breed leaner and leaner pork. And since fat carries flavor in meat, much of the flavor has been missing. Now, however, better-tasting pork is coming back to the market, thanks in part to San Francisco Bay Area–based Niman Ranch, which has partnered with small family farms in the Midwest to offer more and more naturally raised, less lean pork. Chef-owner Suzanne Goin of Lucques restaurant and A.O.C. wine bar in Los Angeles uses well-marbled Niman Ranch pork for her triple-pork burger, which tastes just the way a patty in a bun should. Niman Ranch ground pork is available at or by calling 866/808-0340.